ALBANY – Advocates for legalizing marijuana in New York are learning this Albany truism: The longer an issue hangs around unresolved the more time is afforded opponents to try to kill the effort. Publicly, backers in the Legislature present a unified optimism that marijuana will be made legal in New York in 2019. Privately, some in the Legislature are concerned that opponents – whose ranks have grown over the weeks – are making inroads to spike the legalization effort not only in state budget talks but at all this legislative session. Gov. Andrew M. Cuomo, once a marijuana legalization opponent but now one of the loudest proponents of the idea, conceded last week that some critics had made “good points” that needed to be addressed. “It didn’t go unnoticed," Kevin Sabet, president of the Virginia-based, anti-legalization group called Smart Approaches to Marijuana, said of Cuomo’s remarks. Cuomo went so far last week as to declare his confidence had ended that marijuana legalization will be tackled in the state budget, which is due March 31. Lingering differences between plans advanced by Cuomo and lawmakers are making a final deal in the next two weeks increasingly unlikely, the governor and legislative leaders say. Opponents are not throttling down. “Things can often fall off the budget table and suddenly get back onto the budget table," said Kyle Belokopitsky, executive director of the PTA organization. Proponents, including Cuomo, have expressed concerns that the marijuana issue could die if it is not resolved as a part of the budget. In the budget, it can be jammed into one of the fiscal bills containing hundreds of spending items that even some marijuana-reluctant lawmakers would be hard-pressed to oppose. If left to the session’s end in June, it could be put into what Albany calls a “big ugly” bill that also links dozens of unrelated items into one bill as a way to gather votes. But it could also be forced to stand on its own. If not done in the budget, Sen. Liz Krueger, the measure’s sponsor in the Senate, said “a decent number of senators” have “serious problems” with some aspect or another of marijuana legalization. And while polls show New Yorkers favoring legalization, she said legislators “are always a bit more risk-averse than the general public." Assembly Majority Leader Crystal Peoples-Stokes, a Buffalo Democrat and the measure’s sponsor in the Assembly, agreed that rank-and-file lawmakers will feel more pressure from a vocal minority of constituents if the matter is delayed and left to stand on its own in a separate bill later in the session. “They’ll decide that they can’t afford to take the vote," she said of some lawmakers who would vote for it as part of a larger budget package. The Senate and Assembly last week approved non-binding budget resolutions that gave a public notice where lawmakers in the two houses stand on a variety of fiscal and policy matters. Both houses are now on record publicly supporting marijuana legalization. But they disagree with a number of ideas Cuomo proposed for the issue in January – a complex system closely regulated by the state along a three-tier cultivation, distribution and retail model with taxes that will add 22 percent onto the product. Cuomo’s plan calls for a single governor-appointed official to determine everything from price and potency of marijuana to where, how and how many retail and pot lounges will go in New York. Both houses want more sweeping record expungement for past marijuana arrests than what Cuomo has proposed, and say more needs to be done to give small and start-up companies a chance to get into the marijuana business so the system is not dominated by big firms. The Senate is proposing additional money for local law enforcement training to help police with road safety with what could be a bump in the number of people driving while high. The Senate also wants to fund a pilot program to further develop saliva testing to help police catch drivers who are high. The Senate also wants to reduce proposed tax levels on marijuana. “If we are too high with pricing or taxes you end up with continuing the black market," Krueger said. Both houses are largely in agreement on all the major components of a marijuana legalization effort. They want, for instance, a legislative role in who runs any future cannabis regulatory agency. But they are strongest on one element in particular, which has been the thorniest to resolve so far with the Cuomo administration: where the tax revenue goes. Democratic lawmakers say a considerable portion of the money needs to be directed to low-income, minority communities that have been disproportionately affected by high arrest rates for marijuana violations. They say the money could go for everything from education programs to social services, job training and other things. Cuomo wants the money available for a variety of uses, including as a funding stream for improvements of the New York City subway system. On Monday, Cuomo, who has pressed for the matter to be a part of the budget, signaled he had lost all confidence that the Legislature could resolve the outstanding issues by the March 31 deadline for an on-time budget. 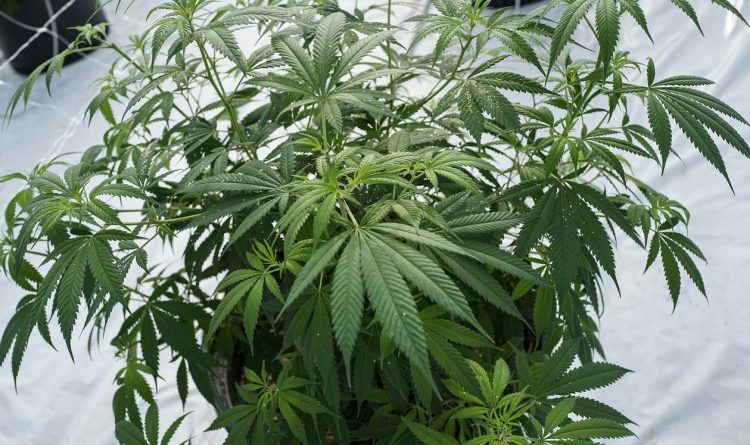 The next day, Nassau County Executive Laura Curran, a Cuomo ally, said she would propose to have her county opt-out of the cultivation and retail selling of marijuana if the drug is legalized. The day after that, Suffolk County Executive Steve Bellone, an even closer Cuomo ally, said he, too, would push a marijuana opt-out effort to last at least a year. Despite those events, supporters of the push say they remain confident. “There is a lot of good faith negotiations going on with all sides right now despite what’s in the news cycles," said Melissa Moore, deputy state director of the Drug Policy Alliance, which is working with 100 different groups trying to legalize adult-use of marijuana. The pro-side has been feverishly working the issue. On Friday, for instance, Moore traveled to Rochester for a town hall meeting on marijuana legalization. “New Yorkers are ready to turn the chapter,’’ she said of moving to end marijuana prohibition laws. She accused opponents of trying to “flood the narrative” with misinformation. On claims that legalization of marijuana for those over the age of 21 will encourage more young people to use the drug, Krueger notes young people are already buying the drug on a regular basis now. “We have a cannabis industry now. We don’t have a legal one. No one is watching over it. No one is regulating it," she said. But the lineup of groups raising concerns is a long one: PTA; various school-related groups; county health officials; physician-related groups, including the Medical Society and the American Academy of Pediatrics; and a number of law enforcement organizations, including sheriffs and chiefs of police across the state. They cite an array of health and public safety worries. During the Senate one-house budget debate last week, Sen. Andrew Lanza, a Staten Island Republican, said proponents need to better inform New Yorkers, for instance, on highway safety effects. “You better tell people what the projections are for deaths on our roads … before you stuff it down their throats," he told his colleagues. But Sen. Diane Savino, a Staten Island Democrat, said people “need to get their heads out of the sand." People can now easily buy marijuana through the black market or other states. “Almost 70 percent of Americans live in states with legal marijuana right now,’’ she said. With Cuomo and lawmakers wrangling over so many budget issues as the April 1 fiscal year looms, the odds appear to be rising daily that the marijuana matter will be punted to the post-budget phase of the session, which ends in June. But both sides know how winds can shift at a moment's notice at the Capitol.